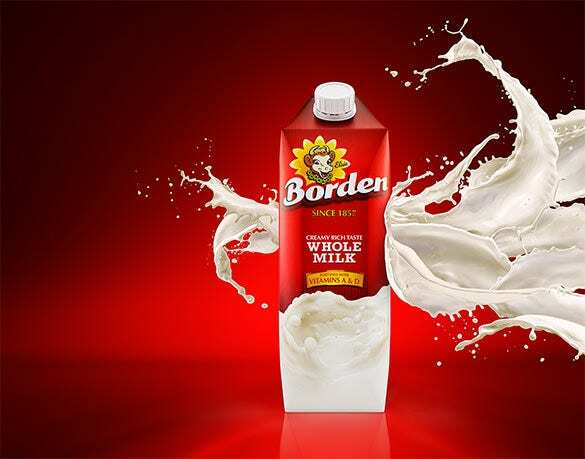 Advertisements are an art in themselves and are adored for their amazing creative appeal, apart from the promotional value– ever since their inception in the commercial world. 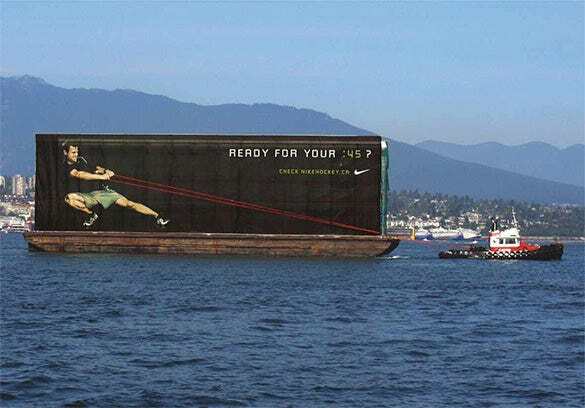 The best billboard advertising not only ensure grand promotions but are also able to evoke thoughtful feelings and emotions that make them even more wonderful. 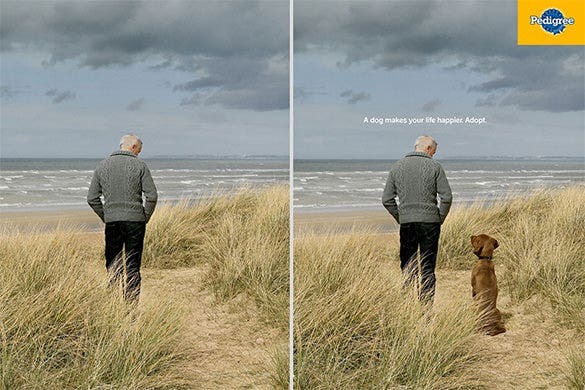 The great ads ensure fantastic creative inspirations for aspiring ad professionals. 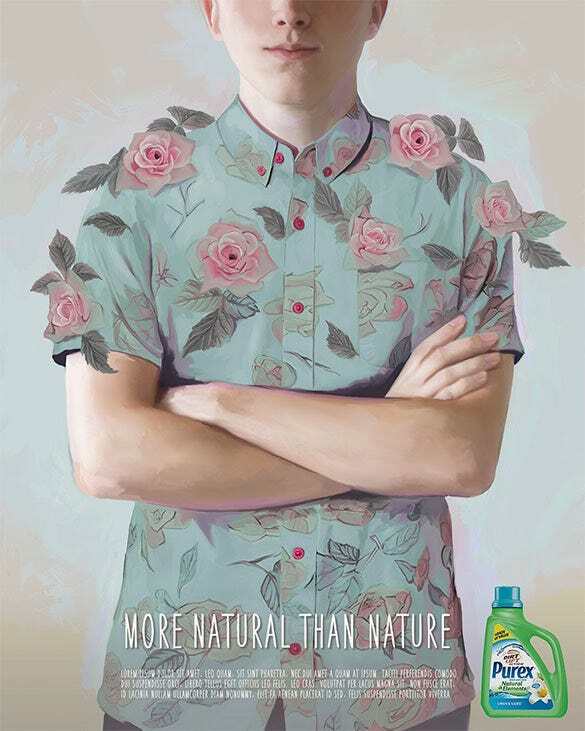 In order to save the environment, people are resorting to use of eco friendly products. This holds true for the paint used to color their homes. 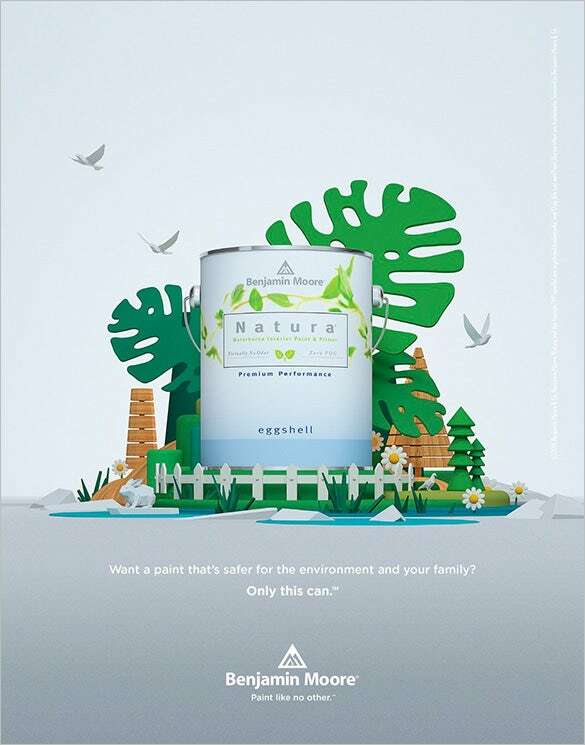 This advertisement by Benjamin Moore displays this fact in a very creative way by showcasing green trees and flying birds accompanied by an apt tagline. The growing obsession to texting and updating status even on the go has been resulting in a number of road mishaps. 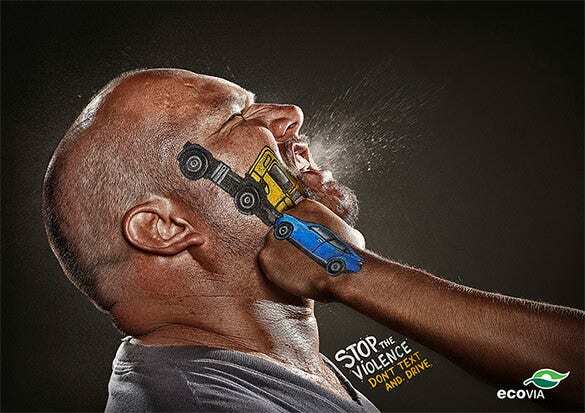 This advertisement is actually an awareness campaign that portrays a head on collision of a car to a heavy vehicle and requests the onlookers to avoid texting while they are behind the wheel. 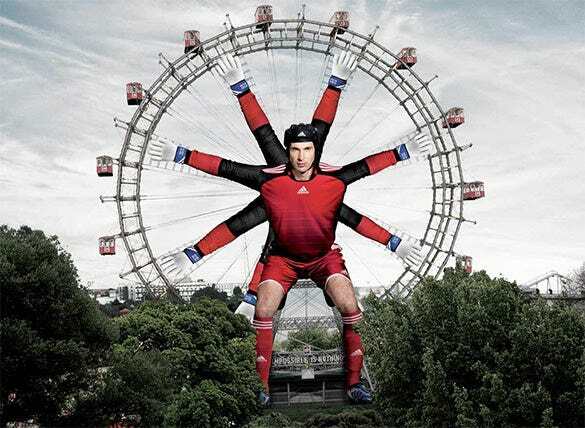 This advertisement actually places emphasis on the use of Bridgestone tires for the vehicles. The ad conveys the message that the use of these tires actually guarantees a smooth ride and offers the riders supreme comfort. 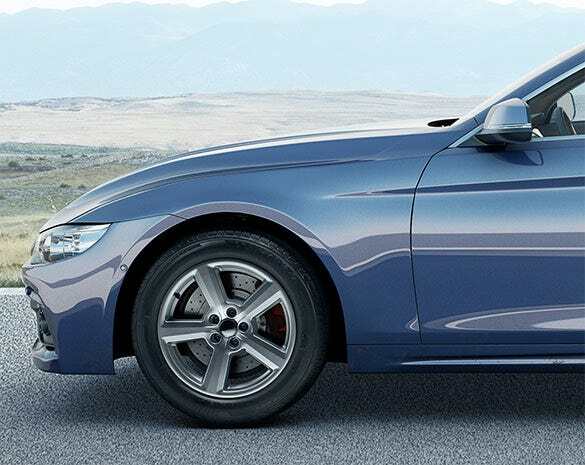 A smooth road with a rough terrain as the backdrop speaks volume about the tire quality and efficiency. 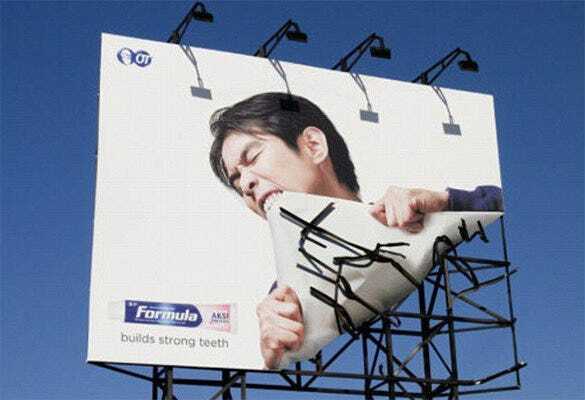 Advertising a toothpaste that guarantees ultra strong teeth to its users, the picture says it all. 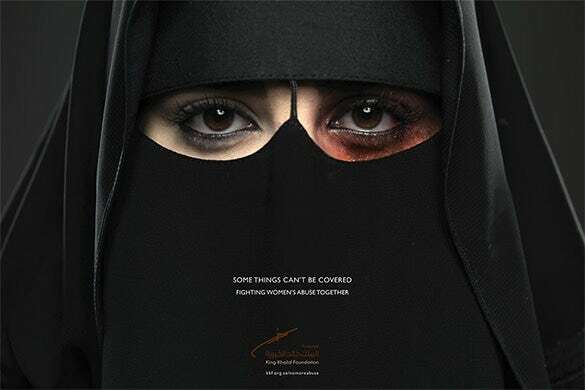 Showcasing a man who is ripping off the billboard and its awnings with his bare teeth, this ad is definitely very creative and offers some food for thought to the customers and bystanders alike. This advertisement promotes one of the most famous airlines that takes you places in the literal sense. 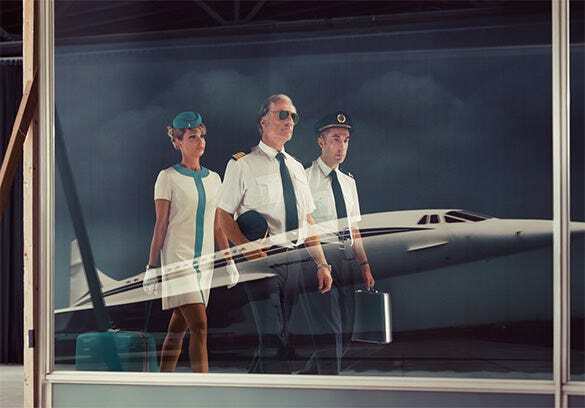 The ad promises supreme flying comfort with well trained staff and complete safety, thanks to the experienced pilots on board. It speaks volumes about its services and instills trust in the travelers. 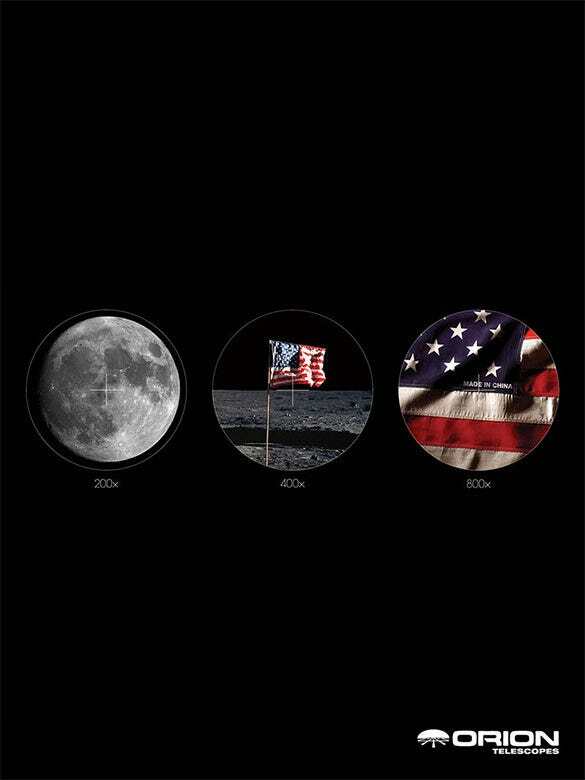 boredpanda.com This creative advertisement actually talks about the experience the users would have if they use these lenses. 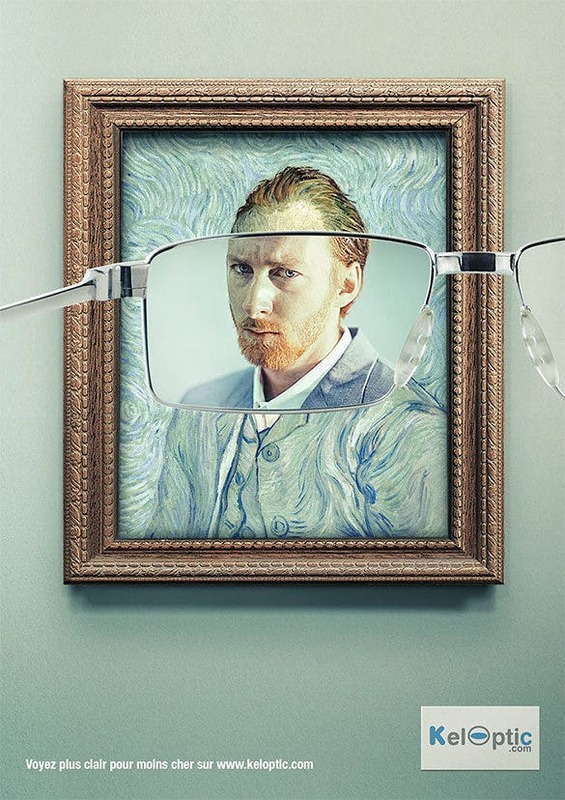 Portraying a lens and a painting, the ad points out that using this lens would ensure that one can see even the slightest of details which may not be evident to the naked eye. 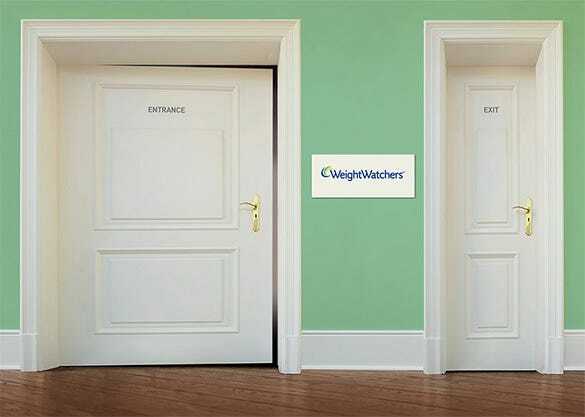 Showcasing two doors of different sizes, this advertisement speaks volumes about the service that is provided by Weight Watchers. It ensures that no matter, what your size when you enroll with them, you are sure to lose all those extra pounds and go back thin and waif like. A popular sports brand, Nike encourages the users to be true to their never say die spirits. 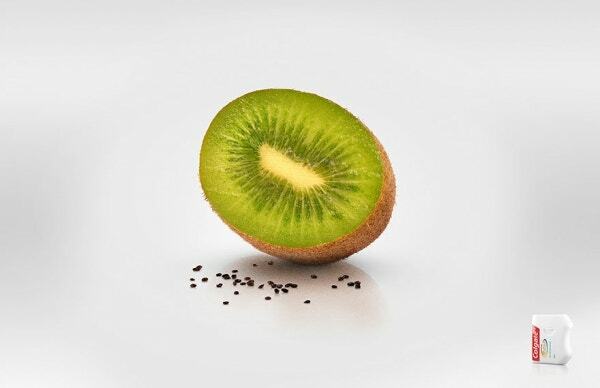 With this advertisement, they encourage the users to notch up their determination and try their hands at things which they might have deemed impossible for long. This is the reason behind the picture of a man pulling a boat midstream. boredpanda.com With people growing health conscious, sugary treats and indulgences have become a thing of the past. 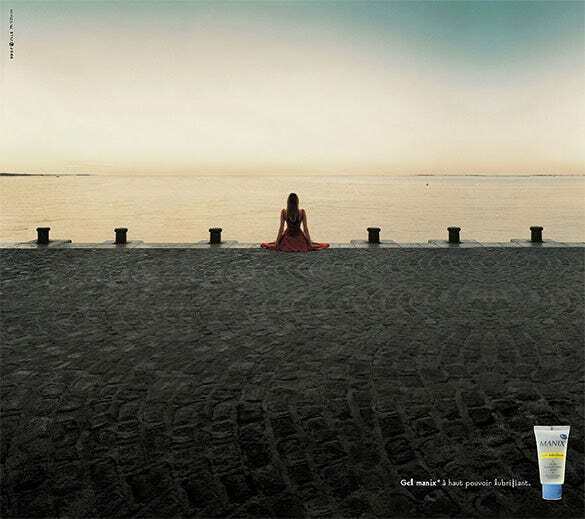 However, this advertisement encourages the customers to try out this lollipop which is sugar free. 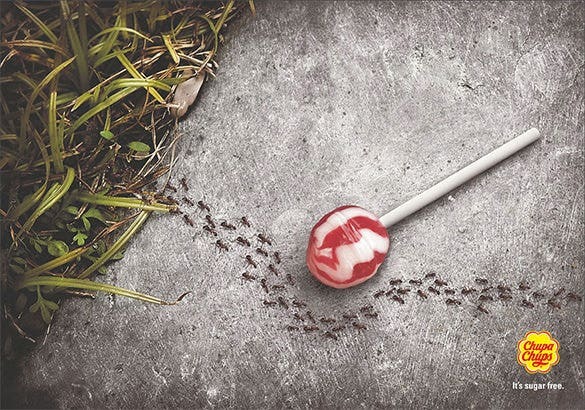 They seal this statement with this ad that showcases a colony of ants steering clear of the treat and changing their path. 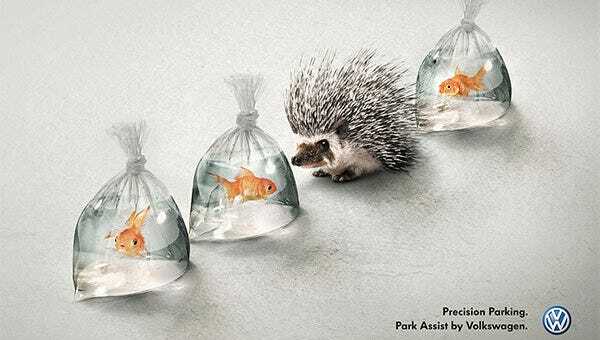 We have come up with a wonderful gallery of 21 most creative advertisements that are sure to boost your creative instincts that would in turn allow you to arrive with memorable ad illustrations. 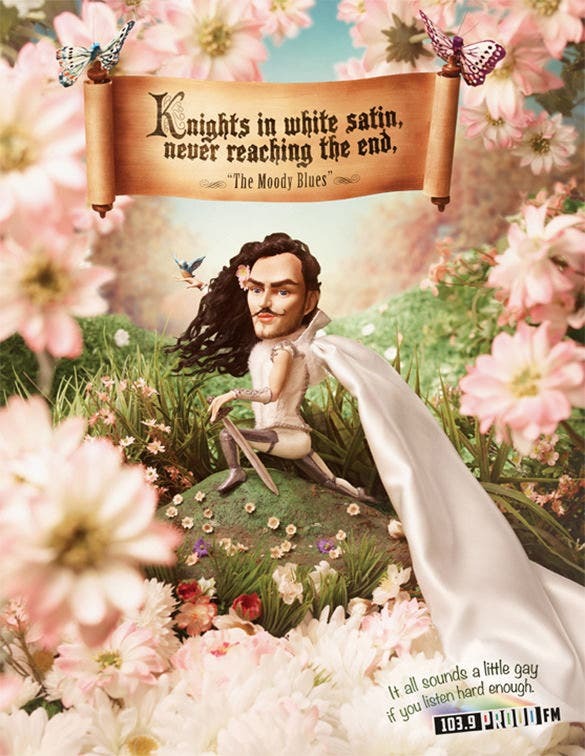 Our list encompasses the works of some of the best ad men ever.